I feel like peter pan collars are making a resurgence right now! 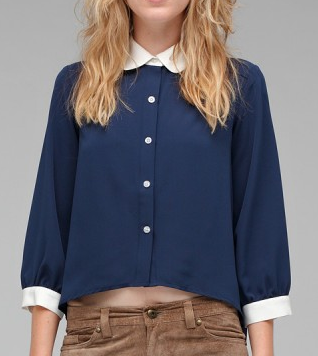 This blouse also has the oh so trendy because it's so ugly longer in the back sillhouette - a double win? Buy at Need Supply for $74.